Vogue’s March issue features a profile of Mackenzie Bezos, wife of Amazon founder and CEO Jeff Bezos. The story focuses on Mackenzie’s budding career as a novelist, but also dives into her relationship with her husband. Despite running one of the biggest companies in the world, Jeff Bezos makes his wife and kids his top priority. He takes the afternoon off at the drop of a hat to read his wife’s manuscripts. “Jeff is my best reader,” Mackenzie told Vogue. He reads the entire manuscript in one sitting and returns it with detailed notes. He brags about how amazing his wife is. “I think my wife is resourceful, smart, brainy, and hot, but I had the good fortune of having seen her résumé before I met her, so I knew exactly what her SATs were,” Jeff told Vogue, declining to give the score. Jeff is undoubtedly repaying Mackenzie for all the support she’s lent over the years. 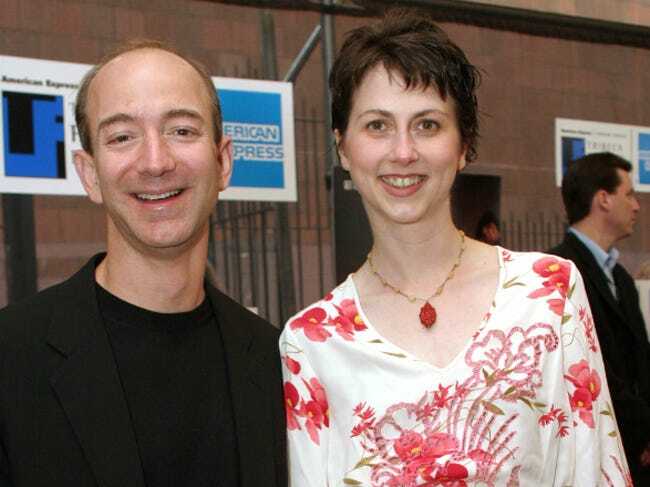 He said in his Princeton Commencement Speech that she was the one who encouraged him to quit his job and start Amazon.